Here is your chance to learn how to get Kodi for iPhone or iPad without jailbreak. This method is going to be lengthy one but will still stay simple and easy. You can go ahead with the details I’ve added before the installation process which will help you know things better. In the case of need, I’ll be available in the discussion section. Now, you are about to make it happen without jailbreaking the device. Although, jailbreaking the device and then using Kodi on iPhone or iPad is easier than this, but it voids the warranty conditions. The method you see here doesn’t void that, but if the device gets unhealthy, then you won’t be able to take it to the Apple Care. So, you need to go through this method knowing this risk. If you want to know details about those, fire up a comment in the discussion section below, and we will discuss it further. On the other hand, Kodi app which was earlier named XMBC is entirely safe to use, and it can be used to watch movies, TV shows, and other media content. 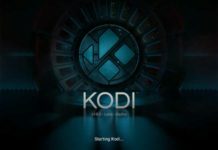 You can even run other programs or apps within Kodi which is one of the reasons why I think you want to make it install. It helps in side loading other apps onto the iPhone and iPad which is first, not allowed, and then, difficult to do. The user interface of the Kodi app is simple, elegant and nothing new. It all looks dead simple to me, and I was able to navigate inside like a pro. You will rarely find anything to complain about the Kodi app as it is well built by a set of developers who are expert in their field. If you still need help on any related matter, go ahead and ping them on Twitter. Let’s start with our original subject now. Before we move ahead, you need to download some software which is required by this guide. These are the necessary software which will be used during the installation procedure, and I hope it all helps you to gain the best working experience. In one way or another, you are going to like and enjoy everything. After all, it will be a good lesson, and you will learn a lot new things now. You need first to download the following software and keep them ready when needed at the time of following the instructions. The last software is available officially on the Mac App Store, and there is nothing you need to pay for it. It can be used for the development part in many ways, so it is an excellent application to have on Mac. The first one is the exact file of Kodi which will be used later during the installation part. The middle one is a special software developed by DanTheMan827 user, and it is a must have for this method to work. So, special thanks to him. If you like, you can make a donation to support his work. The link to grab the installer file will provide you the details for the donation. The method you are about to use here doesn’t require anything like jailbreaking, but it will be lengthy enough to make you feel bored. So, you need to keep yourself together until the end and make sure you don’t get lost in between. You need to ensure that the installation process is completed to gain the best out of it. I hope you have downloaded the files I’ve added above, and you have them ready for the Desktop. Now is the time, to begin with, the exact procedure, and I hope it all goes well in your case too. Once the Xcode is downloaded, install the app and keep it ready. Plug in the iPad or iPhone with the wired connection and keep the Xcode running. Now, click on the ‘Create a new Xcode project’ link, click on the Application option from the left view selection and then click on Single View Application button. After the selection hit the Next button. Over here, you need to enter the name of the app you are about to create. For ease of use, name it Kodi itself. You can write any unique name in the organization identifier (like com.PawanKrishna). Now, move forward with the app making process. Select the platform you wish the app to work, like iPad or iPhone Or you can select the Universal option to keep it available for both. Move next! Now is the time to pick the finder location for the Git repository which you downloaded already. For ease of use, save it to the Desktop. After the selection moves ahead and don’t allow Xcode to access the contacts. An issue will appear telling that ‘no code signing identities found.’ This is where you need to fix the issue by clicking on the Add button and then singing in with an Apple ID. Now is the time to select a development team and once you are done with it, move ahead with it. The issue will be fixed now. Now is the time to launch the App Signer application. The downloaded file will be unzipped with a single click, and then you will have a shortcut to launch the app. Move ahead with the on-screen instructions and when the app is running it will ask you for an Input File. 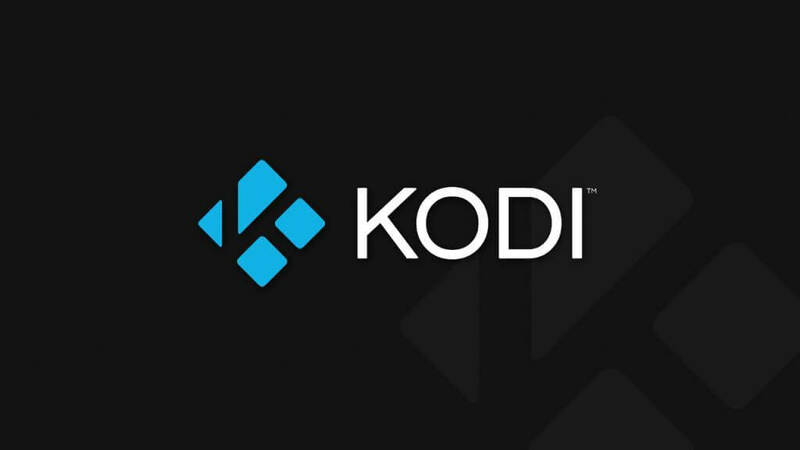 Provide the Kodi deb file you just downloaded earlier by browsing its location (I’ll recommend keeping it on Desktop) and then click the Open button. Now you will notice all the provisions already filled up, and you can now move ahead. Your Apple ID details will be visible here, and you can now enter the Application ID and rest of he details. 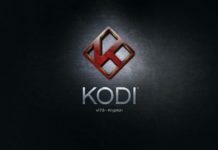 Remember we came ‘Kodi’ as the name itself (ID). Click on the Start button to begin the signing function. When prompted, Save As field and remember the location where you are saving it. After then, hit the Save button. Now the App Signer application will unpack the data and save the file. You can confirm it by clicking on the Done button when it’s over. Now is the time to relaunch the Xcode or make it appear on the main screen again and click the Window button and then select the option which says Devices. When the device is connected, you will see its details. Choose the right one and then click on the + sign available at the bottom in the right side section. Now it will ask to choose a file which you need to do. The file which was just saved by App Signer is the one you need to provide here. After selection, click on the Open button and then move ahead with the on-screen instructions. It will take about 10 seconds to get Kodi installed and later it will be visible in the installed apps. Remove the wired connection to unplug the device now and in the launcher itself; you’ll see Kodi app. Launch the app and if some error occurs about untrusted developer then simply ignore it. Or you can move into the Developer settings and put a Trust bar on the developer name which you have used while making this app. All done! 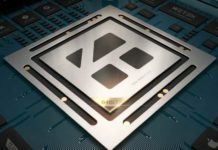 Kodi app is available now, and it will begin working on its own. You can launch the app anytime you want and get away using its services without even jailbreaking the device. Cool, right? Everything is over now, and I hope things do help you in every case. If you still find an issue anywhere, then let me know its detail in the discussion section below. I’ll come up with a working solution with the best timing and procedure, as possible. Let me know the details. Now is the time for you to go ahead and share this practical guide with all your friends online. Let them know that there is a working method to use Kodi for iPhone or iPad without a jailbreak. Peace!